John McDonnell, Labour’s Shadow Chancellor, declared himself and the Party "for Socialism" at the recent Labour Party Conference. In reality, the Corbynite programme of more state intervention and ownership, higher wages and better welfare is a "pie in the sky" picture of a kinder capitalism. We can call it Keynesianism, call it strengthening the state, call it left populism - all of these are part of the truth. On the other hand, calling it Socialism is an absolute confusion, particularly aimed at the Corbynite Labourist "mass movement". This argument is not about splitting hairs or different emphases. It is a choice between two completely different views. 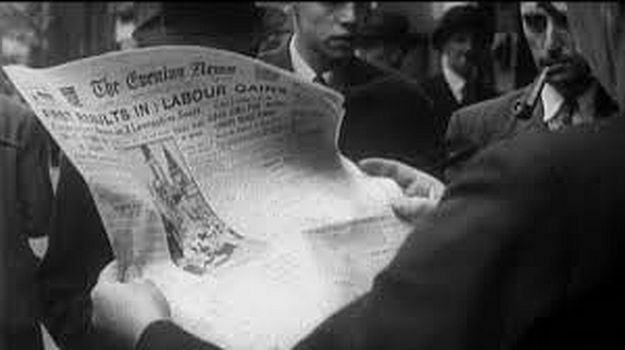 For the Corbynite's, their vision is neatly summed up in the title of Ken Loach's film, "The Spirit of '45". Following the Second World War, workers were not prepared to go back to the poverty and unemployment of the 1930s. This led to a Labour victory but it did not bring socialism. The Labour Government simply took over the management of British capitalism by giving a greater role to the state and presiding over an austerity economy. For those really wanting a world where the interests of humanity replace the need for profit for the class of bosses there is a very different path. There is a desperate need to replace global capitalism with a socialist world based on cooperation and sustainably meeting human needs. That can't be the work of Parliamentarians, however apparently “well-meaning”, or state institutions. The only road to a human future is the revolutionary overturn of this rotting system – the self-emancipation of the Working Class. Since the early 1970's the global capitalist system has been in a crisis based on the inner dynamics of the capitalist system. For the third time in the 20th Century the system arrived at a situation where the rate of profit was not high enough to allow capitalism to thrive at the expense of the vast majority. Twice the situation was "solved" in the mass slaughters, destruction of capital and technical advances around the two World Wars. For the last 40 years the national ruling classes and their transnational organisations and multinational corporations have adopted a succession of quack remedies to maintain their positions. Economic theories have come and gone, production has been shifted to different areas of the globe and technological advance has been used at the expense of both the working class and the planet's eco-system. Local wars around "spheres of influence" and control of resources have brought death and misery to millions. These have generally been fought by the proxies of the bigger states although in both Ukraine and Syria the big powers are now able to use their own war machines without any fig leaves. During the last two decades a vast bubble of fictional values has been created to try and keep capitalism afloat. This was the key element of the "Great Crash" of 2008. The current crisis around the Deutsche Bank may well be the overture for the next act. It is the reality of the depth and breadth of that 40 year crisis of the world system which is the real backdrop to any political machinations. It is also the reality which the left Labourists would be totally unable to resolve even assuming an imaginary future Labour Government comes about. During the period of relative economic stability and capitalist growth in the 1950s and 60s the governments intervened to "fine tune" the economy. There was even enough slack in the profit system to allow for, for example, large scale building of Council houses under the Tory Governments of the 1950s. The capitalist economic orthodoxy was Keynesianism based on using amounts of state spending to "stimulate the economy" i.e. to help generate profits. As the early stages of the crisis unfolded, the strategy was abandoned. A key milestone in the change in approach was implemented in 1976 by the Labour Government led by the Prime Minister, James Callaghan. In collaboration with the IMF it was made official that trying to manage the crisis overrode considerations such as "social welfare". The phoney Socialism proclaimed by the Rt Hon John McDonnell is no more than a desire to return to the days of 1945-51 Nationalisation and 1951-76 Keynesian state intervention. If such a change were possible two features need to be explained. Firstly, despite any talk about "taxing the rich" or "squeezing the multinationals" the conjurors' smoke and mirrors hide the facts about where "disposable wealth" originates. The truth, rather than the illusions of all "the money tricks", is that it is the working class who generate all wealth , the bosses who rob a great portion of it and the state who might then appropriate part of that stolen "surplus value". Secondly, we have to be quite clear that the programme would only serve to attempt to "renovate" capitalism. Tinkering with tax rates, setting some higher levels of wages, restoring elements of welfare that have been hacked to pieces could all make life temporarily less unbearable for some workers. However, those improvements could only be temporary and insecure in the face of the ongoing crisis of late capitalism. Only the destruction of that system, the overthrowing of the power of capital and the minority bosses' class can provide a genuine alternative to ongoing misery and deprivation. "Hegel remarks somewhere that all great world-historic facts and personages appear, so to speak, twice. He forgot to add: the first time as tragedy, the second time as farce". How the process has accelerated since then! Within a week of the Labour Party leadership declaring themselves in favour of interventionism in favour of working people, calling it Socialism, the Tory Prime Minister addressed her Party Conference, declaring herself in favour of interventionism in favour of working people, calling it One-Nation Conservatism. Unlike real farce, this is more than a laughing matter. What it shows is that the Corbynite prescriptions are precisely within the range of options for capitalism just as are the Tory prescriptions both before and after the "Brexit" decision. This returns to the key point – within the range of bourgeois options there are always shades of thought, those chosen vary from time to time. Tory, Tory/Lib coalition, Old Labour, New Labour or Corbyn's "New Old Labour" are all on the same menu – "Suitable for Capitalism". The danger with Corbyn's variation is that he and his cheerleaders present this mish-mash of state support for capitalism and call it "Socialism". Those seeking a real alternative face certain disillusion until they break through that delusion. Central to the road to a real "Socialist" or "Communist" future is the working class organising ourselves in our own interests. That self-organisation starts in defending ourselves against the capitalist attacks but has to grow over to overthrowing bourgeois power and laying the basis for a truly human future. The Communist Workers Organisation and our comrades in the Internationalist Communist Tendency seek to maintain and extend a clear view of the need for and the road towards an end to the abominations of capitalism. We do not expect that road to be short or straightforward since the building of a revolutionary movement has to be based on the rise of a revolutionary class consciousness. It cannot come about through Parliament and it cannot come about by pretending that supporting a pro-capitalist Labour Party is a stop gap solution. The Parliamentary quackery of Corbyn/McDonnell's Labour Party will lead not to Socialism in any shape but only to the demoralisation of those who support it. After John Maynard Keynes, Cambridge economist and government advisor. Marx, The 18th Brumaire of Louis Bonaparte, Chapter 1. How will you assess the extent or strength of a 'revolutionary movement'? I suppose there is no real authority when it comes to the meaning of words. For us, socialism essentially means abolition of capitalism. For the wider left, the capitalist left, it involves a variety of concepts, ranging from full to partial nationalisation, regulation of private capital, state benefits, welfare, education, health care etc. Our Marxist perspective allows an understanding of capitalism, its tendential necessity to impoverish the producers, even slaughter them, to maintain profitability. There is no permutation of capitalism which can folllow a different path. Words are like weapons, they can serve opposing interests. Our socialism is abolition of capitalism by revolution. The Labour Party is a democratic socialist party. It believes that by the strength of our common endeavour we achieve more than we achieve alone, so as to create for each of us the means to realise our true potential and for all of us a community in which power, wealth and opportunity are in the hands of the many not the few; where the rights we enjoy reflect the duties we owe and where we live together freely, in a spirit of solidarity, tolerance and respect. (a) a dynamic economy, serving the public interest, in which the enterprise of the market and the rigour of competition are joined with the forces of partnership and co-operation to produce the wealth the nation needs and the opportunity for all to work and prosper with a thriving private sector and high-quality public services where those undertakings essential to the common good are either owned by the public or accountable to them. "How will you assess the extent or strength of a 'revolutionary movement'? "Why do we need to assess its strength? At the moment we can say the response of the working class is inadequate to the depth of the capitalist crisis. What we need is an independent power structure which gathers the bulk working class and then once we ( those who support the revolutionary perspective) have decisive influence within that structure (workers' councils) then the working class can go on to challenge for power. There is no evidence this is coming in the near term. But there could be unexpected developments. I think some of your comments indicate that you are wanting a quick solution when none is on offer. Within the framework of capitalism we can only expect more barbarism, including the threat of a generalised imperialist war. We are saying there is no way out of capitalism other than a revolution which extends globally, there is no alternative. Outside of revolution, more barbarism. Responding to stevein7 of 2016-10-19, when you charge me with 'wanting a quick solution when none is on offer', what I want is hardly of much significance, except that I would like to know how many of your comrades are known to you to want what you do. If you don't know or won't say how many, I don't get any impression of just how many could engage in what you regard as an essential revolution. If capitalist war becomes more and more likely and its barbarism already raging, then it seems reasonable to suppose that your revolutionary organisation would want to see how near or far you are from the organisation of any solution in terms of logistically available numbers. At this point I must refrain from expletives. Thanks for refraining from expletives. Apologies if I appeared overly antagonistic. None of us know it all. I think we see the subject of revolution (those who are going to carry it out) in somewhat different terms. Much as I agree with the concept of the necessity, the essential factor of the revolutionary organisation, one which is up and running well before the decisive events, the real numerical strength of the revolution lies in the bulk of the working class who are not revolutionary outside of the same decisive events. So even if the revolutionary organisation today is weak, and even if tomorrow it is only small, it can still be of decisive importance in presenting the revolutionary explanation and course of action to a massive working class movemnt fighting initially to defend its most basic needs within a capitalism unable to provide them. It is within the course of an intense class struggle, which is initially one f defense rather than a revolutionary offensive, that the small cog of the revolutionary party can turn the big cg of the working class, enabling it to move from defense to the offensive, from conserving its conditions to taking power and transforming them. Both for the production on a mass scale of this communist consciousness, and ... the alteration of men on a mass scale is, necessary, ... a revolution; this revolution is necessary, therefore, not only because the ruling class cannot be overthrown in any other way, but also because the class overthrowing it can only in a revolution succeed in ridding itself of all the muck of ages and become fitted to found society anew. So the revolutionary subject (the mass of the working class only becomes such in the midst of intense class struggle. Outside of such a period, those who identify with revolution wil be a proportionally miniscule grouping, but hopefully of sufficient weight to play their role give appropriate conditions. Thank you, stevein7, apology accepted, but really no need for it by me. I have just emailed to CWO rather than blog. It seems to me to be politically educationally important to consider just to whom (en masse or separately) we are talking. Trainee teachers, as I guess you know, are told to plan lessons from the formula 'Aim, introduction, development, conclusion', plus 'apparatus' such as visual aids thrown in. Just how red flags would be initially regarded remains to be considered !